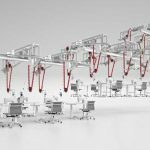 With over 5,000 tailored installations for a range of industries installed in over 60 countries, Eton Systems, headquartered in Gånghester, Sweden, has established a reputation as a clear leader in the field of complete material handling systems. 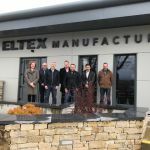 At ITMA 2019 in Barcelona from June 20-26th, the company will be demonstrating a complete installation based on a future production concept, with advanced software providing real-time information covering every aspect of the process. 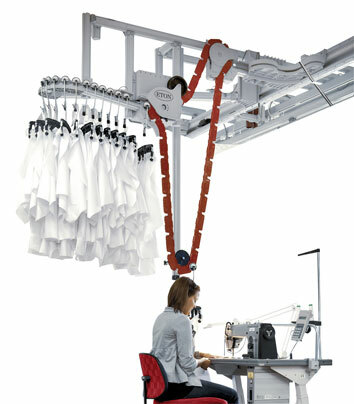 Multiple rails enable rapid sorting at individual workstations. 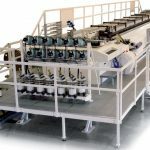 A typical system consists of overhead conveyors with individually-addressable product carriers which automatically steer their way through programmed operation sequences. They are monitored by a computer providing all the necessary data for optimally measuring and managing processes. 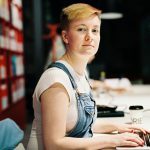 The systems are also highly flexible and can be rapidly modified to changes in the production line or the need for expansion. Historical links to products after completion. 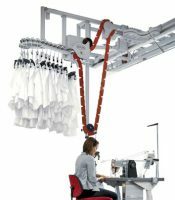 Via an addressable product carrier, an Eton system transports all the components of a complete product through the manufacturing process. 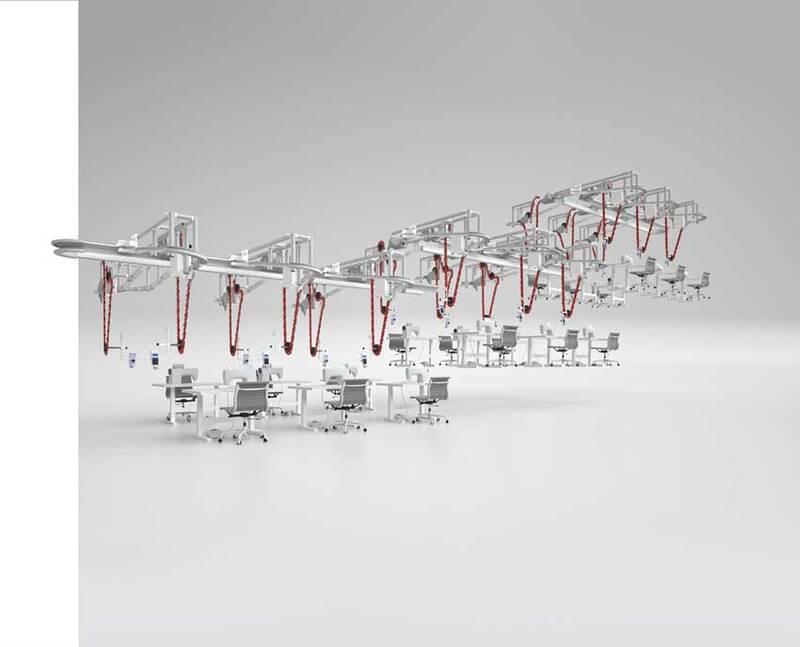 Overhead conveyors with individually-addressable product carriers automatically steer their way through programmed operation sequences. 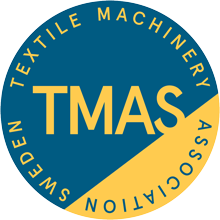 Eton is a member of TMAS – the textile machinery association of Sweden which will have a significant presence at ITMA 2019 in Barcelona. Eton Systems will be at stand A214, in Hall 2 at the Barcelona exhibition.